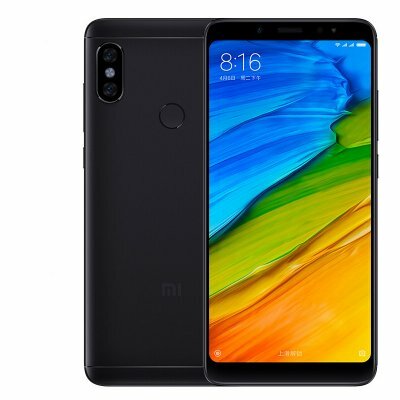 Successfully Added XiaomiRedmi Note 5 Android Phone – Octa-Core CPU, 128GB ROM, Dual-IMEI, 12MP Dual-Rear Cam, 2K Display, 4G (Black) to your Shopping Cart. Packed within the sleek body of this Android phone you’ll find the immensely powerful Qualcomm Snapdragon 652 processor. This Octa-Core CPU has been clocked at 1.8GHz and comes along with 6GB RAM. Together, this hardware lets you tackle the most demanding media and software features without ever dropping a frame. Simply head out to the play store and download all your favorite types of entertainment. With 128GB internal storage and 128GB external storage at your disposal, you won’t have to worry anytime soon about running out of memory to store your files. Thanks to the phone’s 4000mAh battery, you can enjoy all it has to offer throughout the day without ever running low on juice.